Just after the pub's 4pm opening and only one other customer at the start of my visit. It was a very windy day and every time somebody opened the door the pile of leaflets on a nearby table went all over the place. They were later relocated. A mid-evening visit in search of food. Five Points - XPA 4.00 On excellent form. A brief late-evening visit when pub is quiet. Just one as a token nod towards New Year's Eve. Five Points - Five Points Pale 4.40 On very fine form. A late evening visit for a quick one. Pub near deserted. Tiny Rebel - Cwtch 4.60 Always a good idea to order this one. Unexpectedly busy in the early evening with office workers having Christmas drinks. I say unexpectedly as I am at a loss to think of where they might have come from, Leyton not being noted for its offices. Three Sods - Trade Union 4.50 I have a stinking cold and this beer comes over as almost tasteless – it would be churlish though to mark it as ‘poor’ as the fault is almost certainly mine, not the beer’s. A quick one on passing. Pub quiet. Three Sods - Session IPA 4.40 Pale, crisp and hoppy with a slight haze. Quiz night crowds are in. Wild Beer Co. - Millionaire 4.70 A very rich Stout. 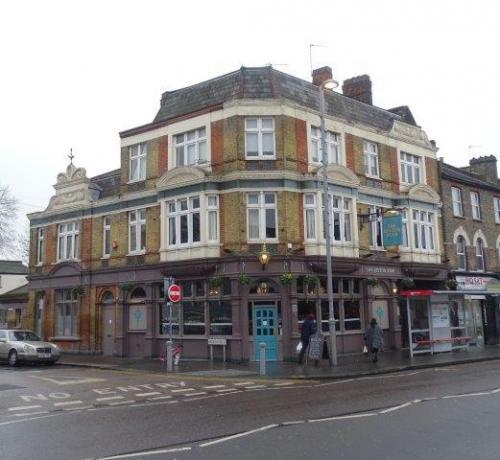 The pub is found in Leyton, Greater London, E15 2BX. This pub was established in 1887 as the King Harold, replacing the former Grenadier, which had stood further north in Leyton. It was a Savill Brothers pub (the local brewery at the time), eventually passing to Charrington’s. By the turn of the twenty-first century this pub had acquired an exceedingly seedy reputation. 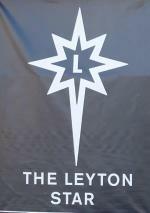 To nobody’s surprise, it eventually closed in 2015, but re-opened in July 2016 as the Leyton Star, much refurbished and beautified. It occupies a street corner position, close to Leyton tube station. A large single bar with an upstairs function room (formerly used as a gym). Rear garden. Four handpumps on the bar. CAMRA discount available. We have visited this pub 67 times, seen 73 different beers and tried 49 of them.